Peter was our founder and driving spirit, a visionary with a heart as deep and wide as the agricultural fields he devoted his life to. 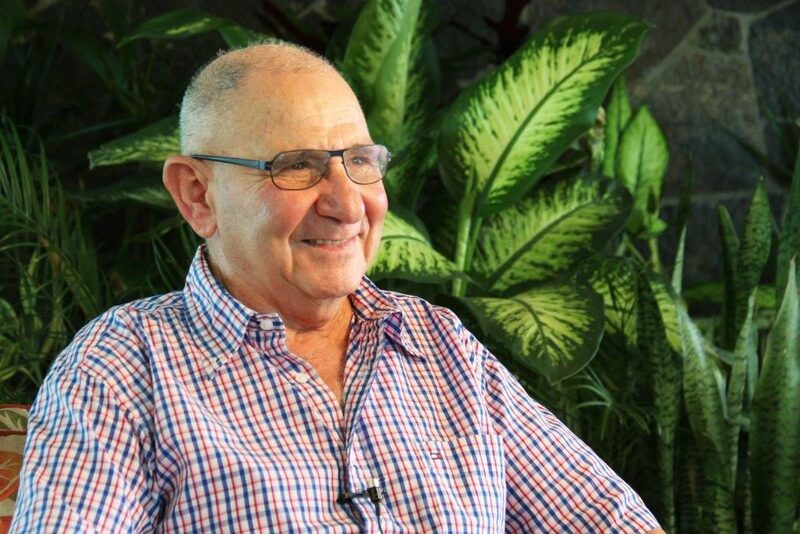 An Israeli pioneer in biological food protection solutions, Peter spearheaded the development and commercialization of botanical-based formulations as a viable alternative to conventional chemical spraying. Much of Peter’s foray into biologics can be seen as an extension of his love for people. He was a man who cared deeply about the farmers and agrarian communities he came in contact with across the globe. He was genuinely interested in their lives and was famous for the personal bond he formed with them. So naturally, he cared about the land they lived on and the toll that chemical spraying took on them and their families – and by extension, on us all. His illustrious 45-year career in the global crop protection industry began with a position in Central America as part of a UN Food and Agriculture Organization (FAO) project. He went on to garner twenty-three years of field experience with generic agrochemicals at Makhteshim-Agan (Adama). In 1994, he set off on his own, forming Stockton (currently STK), a trading company for generics, which was predicated on the deep connections and relationships he had cultivated over decades in Central and South America. Through his close relationships with farmers and by observing their needs up close in the fields and plantations of the region, Peter began to see the gaps that the industry was facing. He understood that the complexities of meeting regulatory demands for safer and healthier produce required a more sustainable approach to growing food. This realization fostered in him a growing interest in the emerging biological biopesticides market. Seizing an opportunity, STK, led by Peter and his son Ziv, acquired an Israeli start­up in 2004, focused on the development of botanical-based solutions, which became the cornerstone of the company’s in-house research and development efforts. The transformation had begun. STK has since gone on to become one of just a handful of bio-ag technology companies with a pure-play focus on developing and manufacturing botanical-based food protection solutions. Peter’s love of people, his passionate spirit and professional ethics are his enduring legacy. His spirit continues to inspire our efforts at STK to develop products that help ensure a safer, healthier and more abundant food supply.